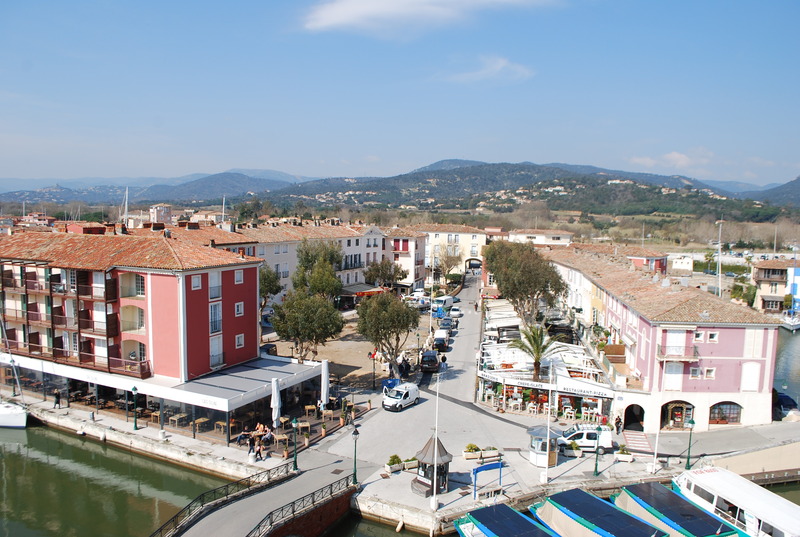 The ecumenical church of St. Francis of Assisi is located in the heart of Port Grimaud. 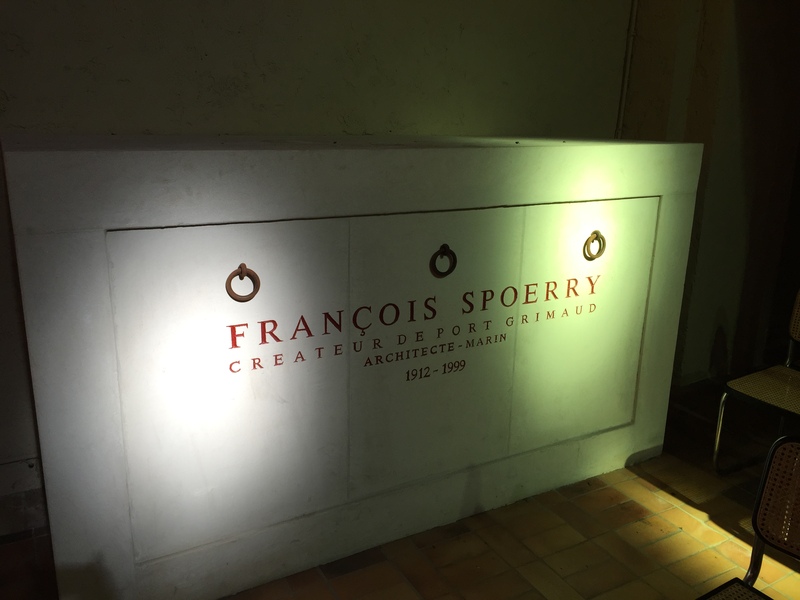 It is the work, like our seaside town, of architect François Spoerry, who was laid to rest there. 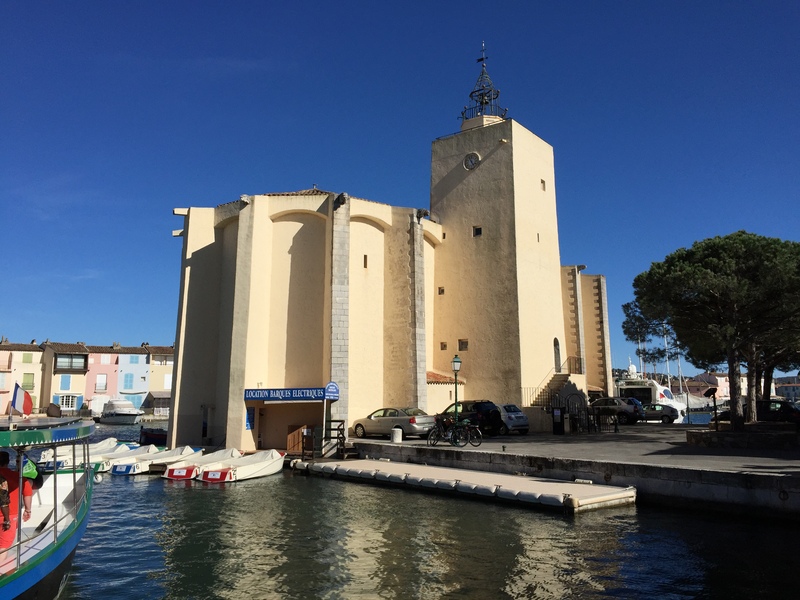 Some of you will recognize a resemblance to the fortress church Notre-Dame-de-la-Mer of Saintes-Maries-de-la-Mer. 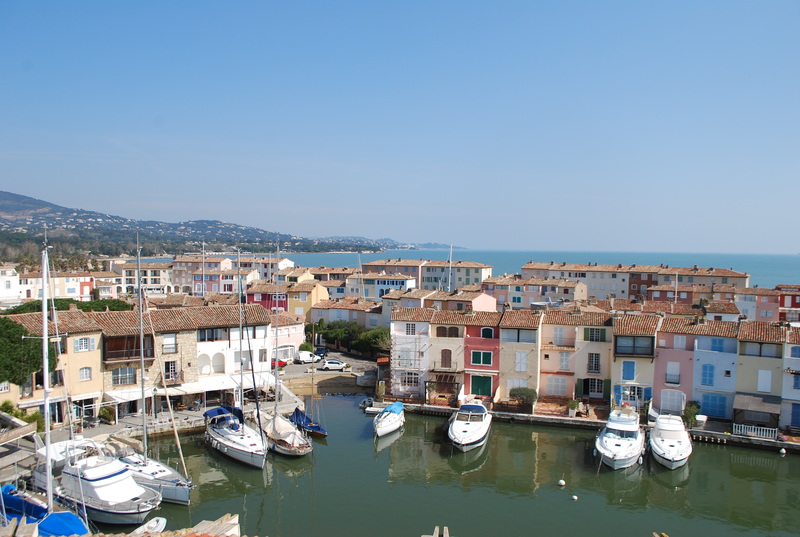 That structural choice was due to the many pirate attacks of the 9th century, initial date of construction of this other Provencal church. 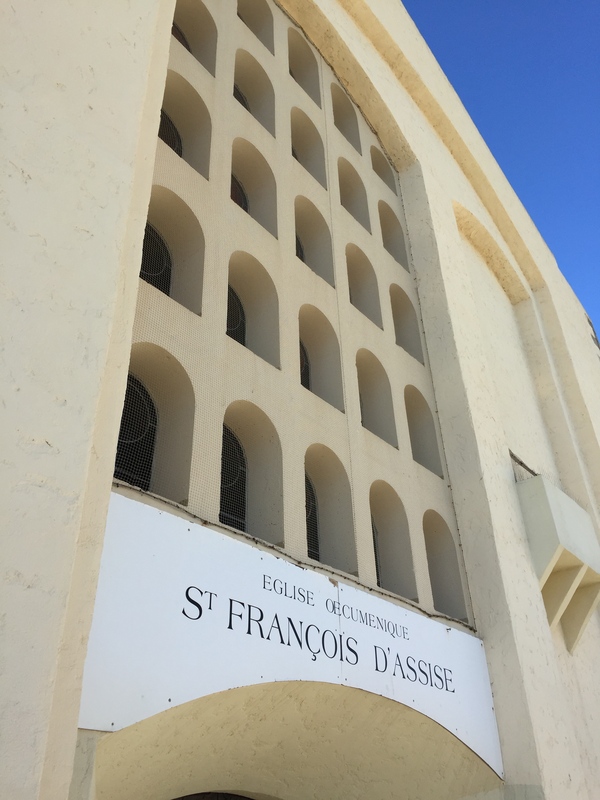 The church of St. Francis of Assisi in Port Grimaud was built between 1969 and 1973 and is part of the cultural and architectural heritage of the Camargue and Provencal churches. 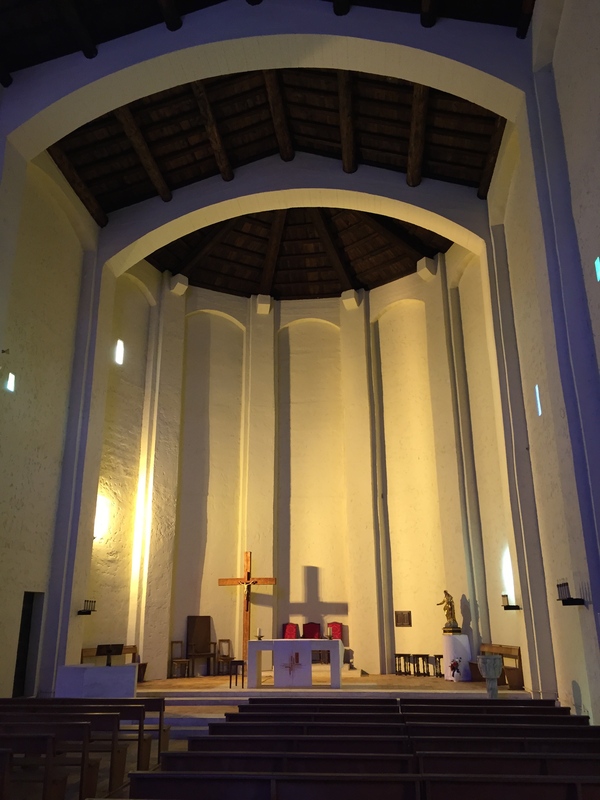 The architect who built the church with his own money wanted it to be conducive to contemplation and without embellishment. The nave extends nearly thirty meters long. Facing the sea, you can admire the unique stained glass of the church, made of 25 pieces each representing a phase of the sun from dawn to dusk. 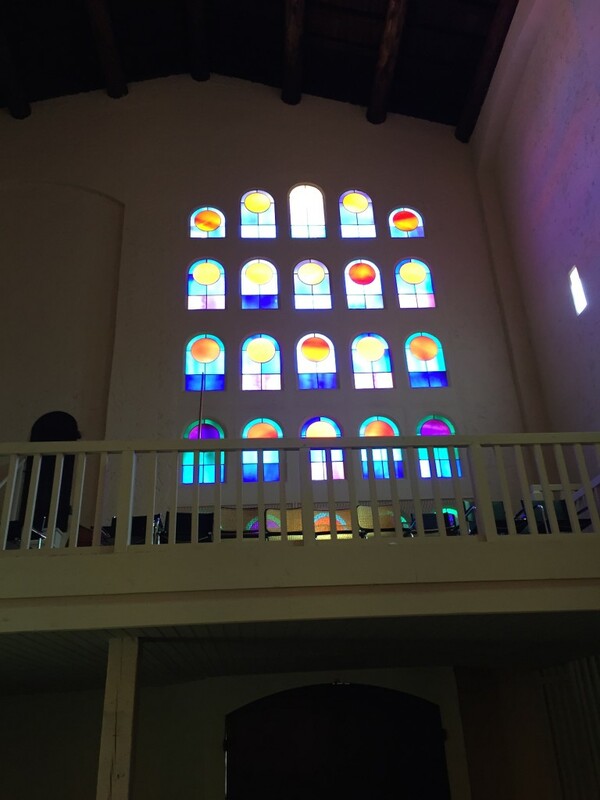 The stained glass windows were designed by French-Hungarian artist, Victor Vasarely. 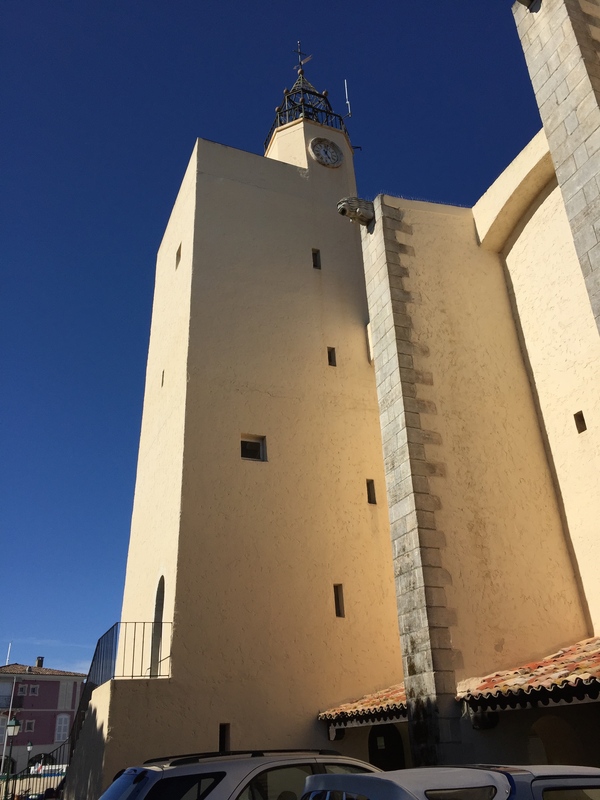 The church has its feet in water on two sides and is adorned, on top of its 16 meter tower, with a wrought iron campanile supporting a bronze bell. 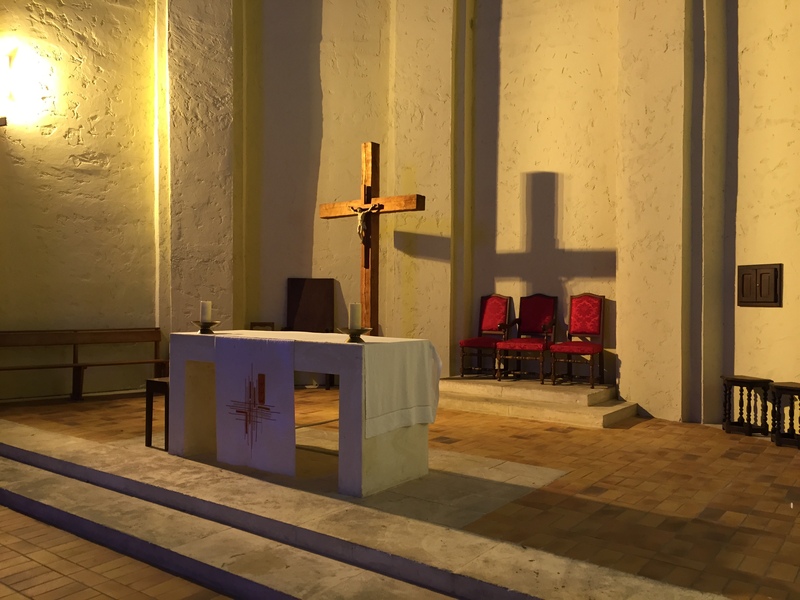 The church is ecumenical, meaning it performs the ceremonies of several strands of Christianity, including Catholic and Protestant ceremonies. 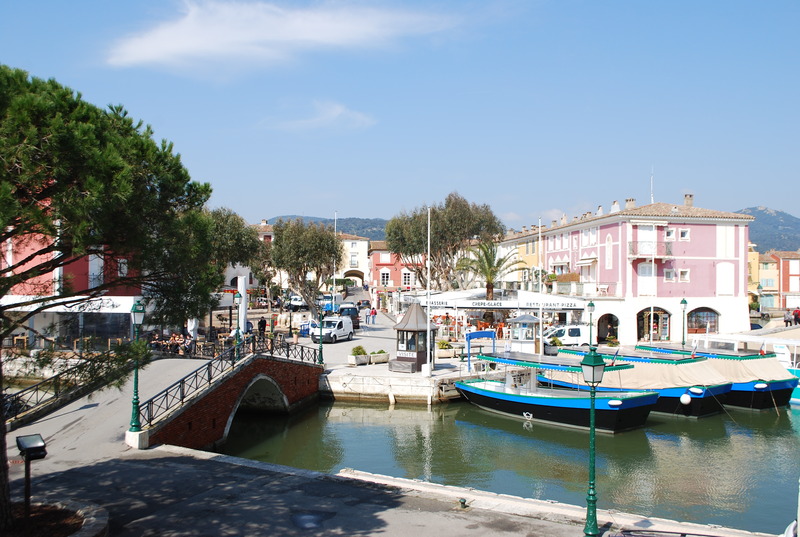 It is owned by the residents. Its care was entrusted to an Ecumenical Council, composed half of Catholics, half of Protestants and a co-owners’ representative. Mass is rarely celebrated in the church of St. Francis of Assisi. 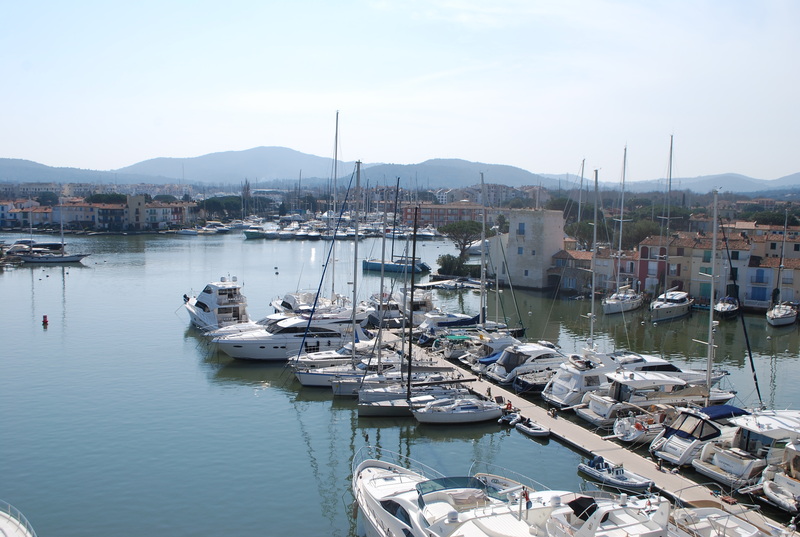 It usually takes place at St. Michael’s church in the village of Grimaud. 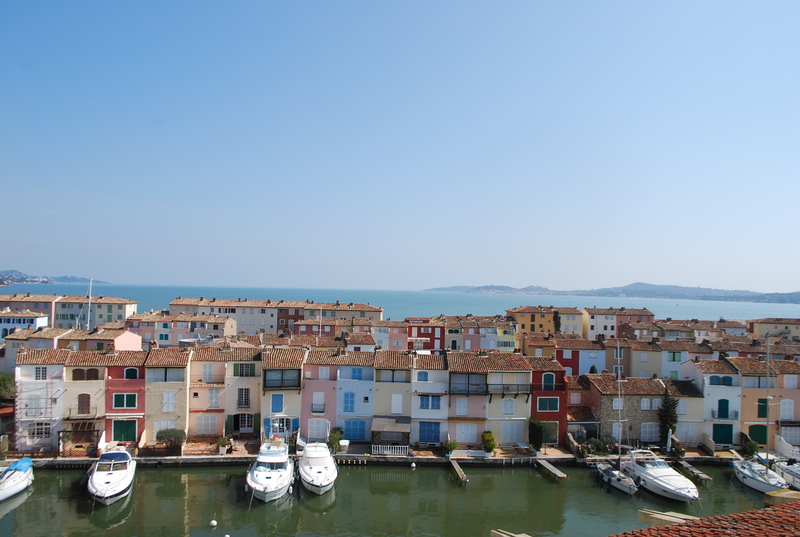 We invite you all to climb the spiral staircase, so that you can all enjoy a wonderful, panoramic view of Port Grimaud in its entirety. Cette entrée a été publiée dans Non classé le 10 juin 2015 par Boutemyblog.